The Council included explicit guidelines in its planning policy to prevent the use of eye-fish images on tall buidlings. All good, you might think? In reality, as often with Wandsworth Council, those seems to be policies to please the amenity societies and the residents, but with no effect in actual issues. I had – as usual – a very pleasant meeting with Tim Glass on Monday 10 January. He explained that the exploratory work conducted on the site (25m digging) showed that it was actually much more complicated than expected to keep the existing frame of the building. Contractors told them that starting with a new frame would also be faster, as the whole construction could be achieved within 10-11 months instead of 15-18 months. Demolition should start in April 2011. Our only concern was the additional 10% capacity, although we must admit that it should not cause additional servicing: no need of bigger vans, or additional refuse collection, and the increase in customers should be minimal. Of course during the construction time, there will be a crane and trucks, but with the parking space at the back of the existing building the potential issues should be contained at the bottom of Mossbury Road. They are still negotiating with a hotel operator on the one hand and banks on the other hand for the funding, but they are confident on the result and they consider the site as a long-term investment. With a size reduction (along with numerous changes already made from their original plan, as we highlighted in our previous comments to the Council) we are glad to support the application. Our support comment is available HERE. We received an update from Tim Glass, the developer, on the hotel for the Woburn site, 155 Falcon Road. I am writing to update you on the progress at 155 Falcon Road. The general situation is that we are struggling on, but, as I am sure you can appreciate, it’s tough getting any scheme off the ground at present (especially obtaining funding). However, unless some other obstacle is put before us, we are still clinging onto the prospect of opening in time for the 2012 Olympics. I had hoped that such minor variations could have been dealt with by the Council without another full application, but evidently, this is not the case. I am attaching a copy of a letter that we will be distributing to the residents at Mossbury Road early next week, to keep them informed and I think it is pretty self explanatory. Incidently, the advice that we have from the builders, that we have approached, is that the entirely new build proposal will actually take less time to complete than we had anticipated for the approved scheme. I can’t make a firm commitment on the length of the construction period, as building contracts always have the capacity to take longer than planned, but indications are 10- 11 months and this includes the residential building, which is to be built at the same time. I know that you had your reservations about the height previously, and I hope that you will welcome the marginal reduction in height (950mm) that is now propose, but, this aside, I am sure that you recognise the benefits of this development- in terms of a good quality new building, providing a much needed facility, as well as the contribution that it will make to the local economy. The way things are, I don’t think that there is the prospect of any other major developments taking place at Clapham Juction for a good many years. I hope that we can deliver this one. First of all, we must thank Tim Glass for providing such update on the situation. We have already commented in the past on the pros and cons of the scheme which has been granted by the Council without much debate. We still think that the building should have been reduced by 1 floor (or 3 meters). Economic viability was an argument put against any more downsizing, but the proof of the alteration above shows that it was possible to reduce the height with a similar number of rooms. In addition the increase in rooms (10%) will mean an increase in the need for servicing and therefore potential disturbance for the neighbourhood. However we also thought that the overall scheme was good and the small size reduction is going in the right way and therefore very much welcomed. In addition this is another good news to see that the plan to develop the hotel is progressing (although delayed slightly by the new application); the builders advising that the new application means also that the building is faster to complete will also make shorter the period of disturbance in the neighbourhood during the construction phase. Leaflet distributed in the area to publicize the new application can be downloaded HERE. The Planning Application Committee was meeting on Thursday 24th and decided to grant planning permission to the new proposal for a hotel development on the site of Woburn House, 155 Falcon Road. The part dedicated to the proposal was a thoroughly dismal affair. Only Cllr Belton spoke against the 8 storeys, favouring 6. He also criticised the way CJAG’s contributions had been subsumed into a general category (following our complaint regarding the treatment given to those comments), saying that CJAG had been the most vocal community group over the last couple of years. Cllr Randall made a comment on the design. Otherwise there was (or looked like for some observers at the time) an almost total lack of interest from the other Councillors . No discussion whatever of alterations to the top floor. No discussion whatever of parking problems, except when one planning officer present said there was an “assumption” that all guests would arrive by rail. Nobody demurred. Councillor Vanessa Graham, a good friend of the architect, left the room before presentation and therefore did not take port on the decision, nor vote. We now hope that efforts will be made by the developers to make this proposal a success for Clapham Junction area. We know from discussing with the developers that a hotel operator has still to be found, but we see that as a clear encouragement given to local developers with reasonable projects. We are disappointed that the Committee did not take the opportunity to debate more on the different issues raised by comments submitted. Points raised by Tony Belton and Billi Randall should have been the occasion of discussions instead of the rest of the Committee only waiting for vote-time. We would have thought that it makes a better explanation of the decision process and shows local democracy at its best… instead of giving the impression that real decision are taken behind closed doors. As showed by the unanimous vote of the members of the Committee, approving a planning permission does not mean they cannot discuss some aspects of it. On the issue of parking, the Council could have also made a point to address the issue, independently of the developers plan (as we suggested – in a way supported by the developers). Apparently it was decided to adopt a wait-and-see attitude. The Council has reported on the decision in its press-release today. However one of them said that they thought that there was not enough to argue against and it would have made no difference. As I said previously, half of the Committee is new and but hopes to build knowledge on planning issues quickly for good. As I said previously, half of the Committee is new and but hopes to build knowledge on planning issues quickly for good. The letter below is the comment of the Wandsworth Society regarding the new proposal for a hotel development on the site of Woburn House, 155 Falcon Road. 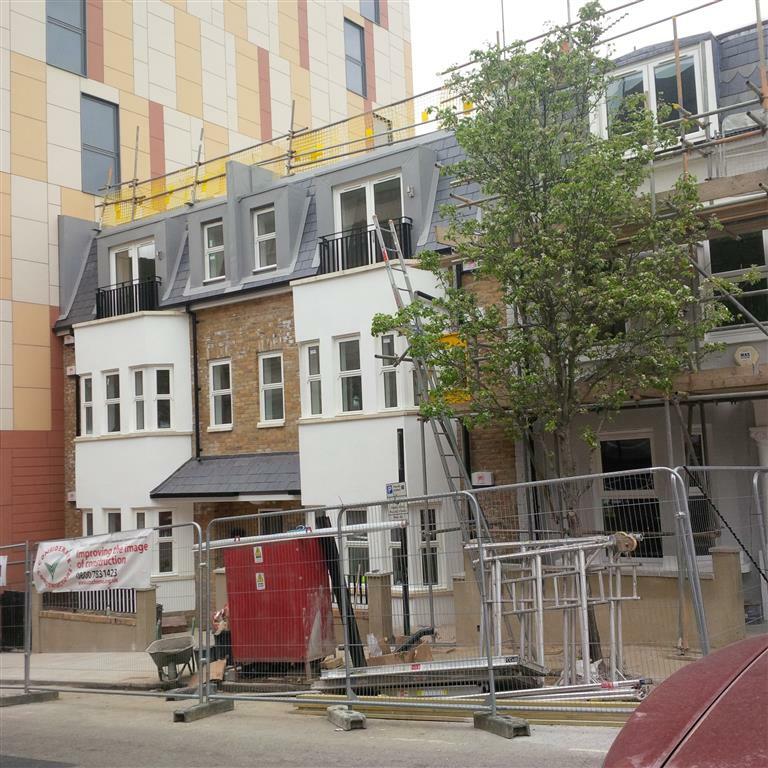 It has been addressed to the Planning Service in Wandsworth council, and to all members of the planning application committee. In order to make it easier, we have linked in the letter the references to the CJAG comments. You might want also to read the complaint sent regarding the treatment given to those comments. Re: Application No 2010/1455 Woburn House 155 Falcon Road London SW11. We are writing to record the Society’s comments on the application to be considered by the Planning Applications Committee on Thursday 24th June. 1. We endorse the comments made that the height of the proposed building should be limited to seven floors or at worst that a setback should be made to the 8th floor. 2. The economic viability of the scheme should not be a material planning consideration. 3. 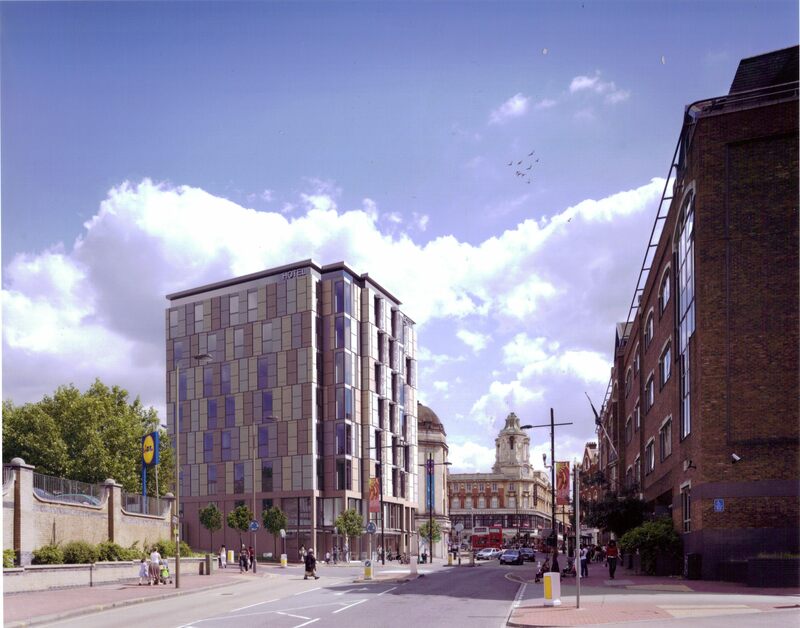 We are concerned that the parking of cars by both residents of the proposed new flats and the users of the hotel will increase pressure on very limited roadside space available. Could ground level parking under the flats not be provided for the occupiers of the flats? 4. Houses in Mossbury Road will be overlooked by the occupants of the hotel accommodation. 5. If the Committee are minded to grant permission, we consider that a condition should be attached requiring the applicant to submit details at a scale of 1:20 and 1:5 for the external walls, windows and doors and that construction is not to commence until such details are approved to ensure that the design quality of the proposals are achieved. We hope that these comments will be brought to the Committee’s attention.